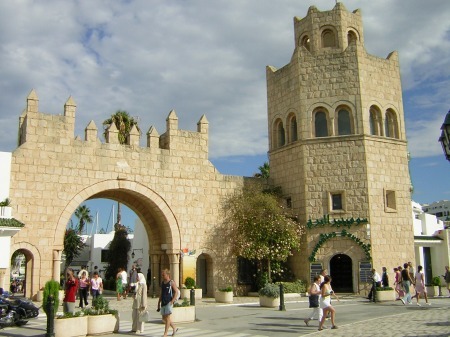 In this tour we'll explore the historical islamic places in Tunisia. 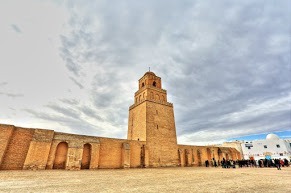 See the first mosque built in North Africa. Visit the arab town used as capital in their time. Admire the andalusian and Arab architecture. Arrival to the airport, welcome and greet by our representative and transfer to the Boutique hotel Tunisia Palace 4*. Overnight. After breakfast, departure to the main boulevard of Tunis, the Habib Bourguiba street and walk through it to Beb Bhar that marks the entrance to the Medina of Tunis (a UNESCO site). This walk will take us through the narrow streets where shops, workshops, public building and private homes are and will lead us to the second most important mosque of the country and the oldest one of Tunis: Ezzitouna mosque. For years and before the independence in 1956, the mosque was not only a religious place but the most important university of the Muslim world. Students from all over the Muslim countries used to come for learning the Coran, its explanation, history and literature from the best teachers at that time. A short drive from La Kasbah will take us to the national Bardo museum to visit the 19th century royal palace and the place hosting the largest mosaic collection in the world. In the afternoon and there is no better way to finish the day than visiting the white and blue village of Sidi Bou Said and have a refreshing mint tea in the oldest Turkish café in Tunisia: café des nattes or ‘Café Des Délices’ overlooking the leisure harbor, the presidential palace and the Mediterranean sea. 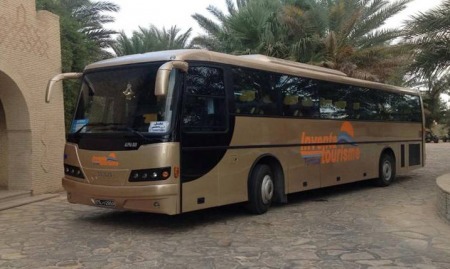 Departure to the coastal town of Hammamet. Check in at hotel Eden Yasmine 4*. Dinner and the overnight. After breakfast we leave to the center of Tunisia and the holiest town of Kairouan, the first city founded in 669 and 670 by Arab Muslims during the second Islamic invasion in North Africa. The city of the 100 mosques, so it’s called and at least the great mosque of Sidi Okba and the 3 door mosque will be visited as well as the mausoleum of Sidi Essahib, the shrine and the mosque, the Aghalabitan water pools from the 9th century and the Medina. Check in at the boutique hotel La Kasbah 5*. And free time to relax. In the afternoon we will have a look at the carpet handicraft of Kairouan an exclusive feminine work and visit the museum of Islamic art of Rakkada, some 12 kilometers away from Kairouan. The Rakkada museum was originally built in the 20th century to be a residence of Habib Bourguiba (first president of Tunsia) but as he never lived there it was transformed into a local museum hosting a valuable collection of artifacts and Coran books tracing back to the Islamic era from the 9th to the 16th centuries. We drive back to the hotel in Kairouan. Dinner and overnight. 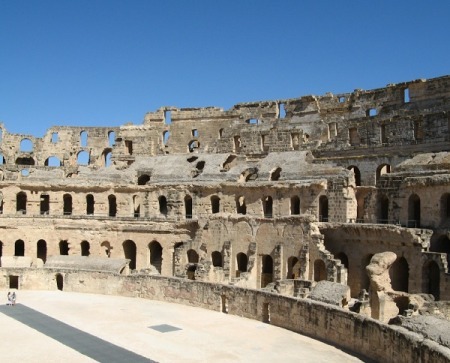 Start after breakfast with a drive to El Jem to visit both the amphitheatre and the local museum. Without a doubt the coliseum of El Jem is the most impressive Roman monument left in Tunisia from the 3rd century. With a capacity of 30.000 spectators, it’s the 3rd largest amphitheatre in the Roman Empire. People never made justice to the local museum of El Jem as it contain a small collection of Roman mosaics but many of them are in better conditions of any one in the Bardo museum. An exceptional collection of status, mosaics and a fully restored Roman villa will impress any visitor. In the afternoon will head toward the coastal town of Mahdia. In 910 AD, the Fatimid Caliph decided to make Mahdia its capital. It was at this time that the major monuments were built which now stand in the center of Mahdia. We’ll see the "Skifa Kahla" (now Medina of Mahdia) which was the main fortress protecting the accesses to the city, the Great Mosque and the Punic port. Check in at hotel El Mouradi Mahdia 5*. Dinner and overnight. After breakfast, we depart to Monastir -the native town of the first president of Tunisia “Habib Bourguiba”. We will visit the Ribat, located by the sea and used for years as a monument of refuge when invaders approach coming from the sea. Venue of the festival of Monastir today and another small museum of Islamic art is offering a fine selection of old material and Coran copies. The most decorated monument was built for the Bourguiba family and today is the tomb of Habib Bourguiba who died in the year 2000. We continue our program with a drive to Sousse and the great mosque with its special shaped minaret, a dome rather than a rectangular or circular high monument from where we call for the payers 5 times a day. Visit of Souuse Medina (a UNESCO World Heritage). And then drive to hotel Riadh Palm 4*. Dinner and the overnight stay. Optional Activities (There will be an additional charge for the camel ride optional activity to be paid on site).